British director, producer and performer. Jan Bussell with his wife Ann Hogarth founded the Hogarth Puppets in 1932. 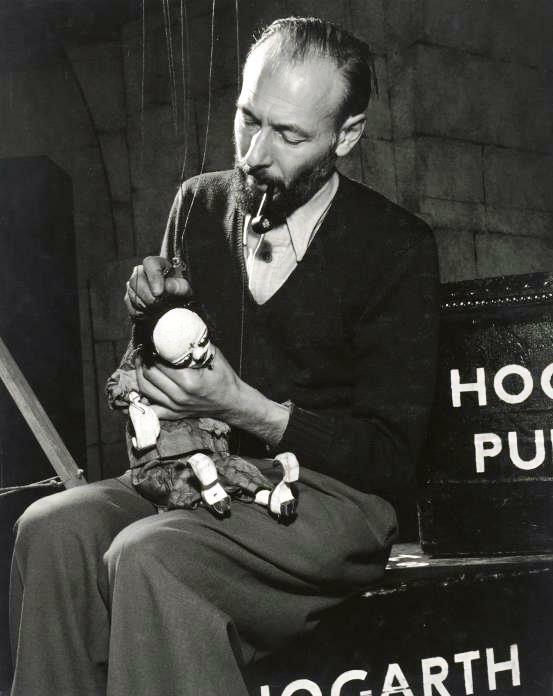 Jan Bussell’s puppetry apprenticeship was with the London Marionette Theatre under Harry William Whanslaw and Waldo Lanchester (see Lanchester Marionettes). In 1930 he took part in the first television broadcast, from the studio of John Logie Baird. His efforts between 1937 and 1938 to include puppetry in television programming resulted in the series Muffin the Mule which became the first popular success of the small screen and ran from 1946 to 1955. 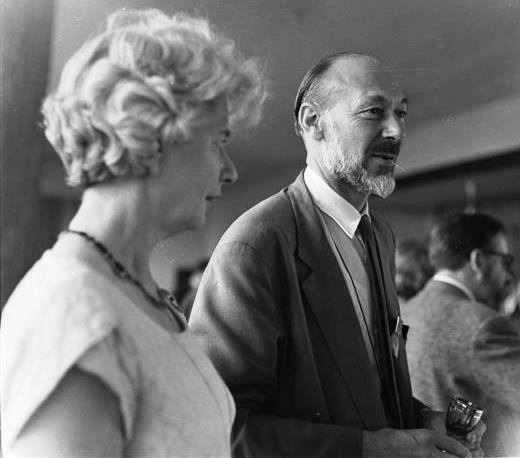 Jan Bussell was Chairman of the British Centre of UNIMA for many years and was elected President of UNIMA’s international body and member of its Executive Committee in 1968, a position he held until 1976. As producer and performer Jan Bussell was imaginative, original, entertaining and totally professional. 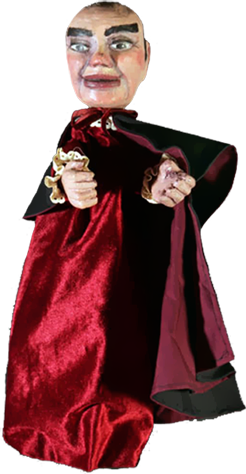 After Ann Hogarth retired from the puppetry scene he created a one-man show, a series of short sketches which traced the history of puppetry and his own life-story. 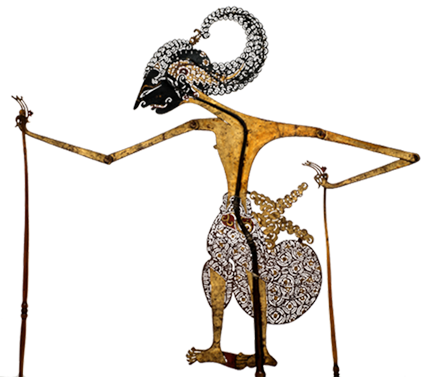 Jan Bussell is the author of several books on puppetry, including: The Puppet Theatre; The Puppets and I; Puppet’s Progress; Through Wooden Eyes; The Art of Television; Twelve Plays; Pegasus Book of Puppets. He edited Plays for Puppets, and was co-author (with Ann Hogarth) of Fanfare for Puppets. Bussell, Jan. The Puppet Theatre. London: Faber, 1946. Bussell, Jan. The Puppets and I. London: Faber, 1950. 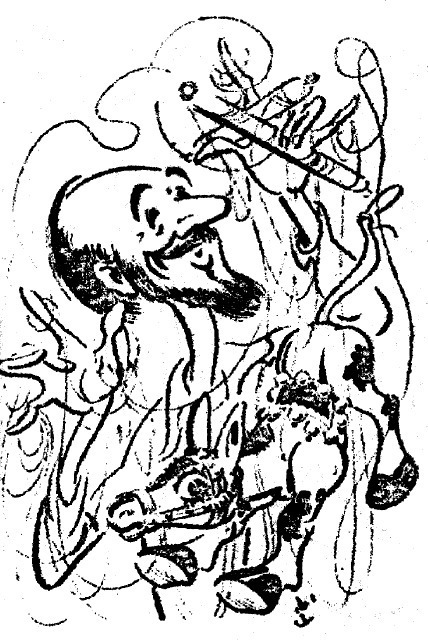 Bussell, Jan. Puppet’s Progress. London: Faber, 1953. Bussell, Jan. Through Wooden Eyes. London: Faber, 1956. Bussell, Jan. The Art of Television. London: Faber, 1952. Bussell, Jan. Pegasus Book of Puppets. London: Dobson, 1968. Bussell, Jan, ed. Plays for Puppets. London: Faber, 1951. Hogarth, Ann, and Jan Bussell. Fanfare for Puppets. Newton Abbott and London: David and Charles, 1985.